Home » Product News » Get the free Electronic Harness Register and Guidance Booklet! Get the free Electronic Harness Register and Guidance Booklet! 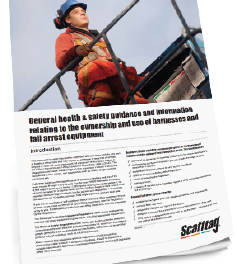 Our 10 page pdf Guidance booklet has been compiled to provide management with a summary of health and safety legislation and to enable them to be better informed regarding the management and use of safety harnesses, lanyards, and fall arrestors within the workplace.